Former PocketFives.com #1-ranked Worldwide player, Patrick ‘pleno1’ Leonard crossed the $4 million lifetimes earning mark this week joining Tommie ’TommieJ’ Janssen as the second player to hit that mark this month. The partypoker ambassador leveraged a victory in the partypoker $40K Heavyweight for over $10,000 last week to get him to the $4 million doorstep and then crossed the threshold with a relatively minor cash when the UK pro picked up $438 in the PokerStars $215 Sunday Warm-up on November 12. Eclipsing $4 million plateau is, perhaps, the icing on the cake of the year that is 2017 for Leonard. In addition to his online exploits, Leonard went on the heater of a lifetime this summer when, over the course of one week in July, he won, not one, but two Aria High Roller tournaments for approximately $789,000. The #2-ranked UK grinder then found himself winning out in the $10,300 Bellagio Cup XIII Event for an additional $475,000. It’s $3 million for the #300-ranked Georgios ‘zisimo7’ Zisimopoulos. Athen’s own Zisimopoulos had a very successful week online, cashing for over $30,000. This included a third-place finish in the PokerStars $530 Bounty Builder High Roller for over $9300, the score that sent him soaring past $3 million. Zimbabwe’s ‘eatyourstac’ also reached new heights as the small-to-mid-stakes grinder surpassed $2 million in lifetime earnings. Notching roughly 40 cashes this week, playing on a variety of sites, the momentus tournament turned out to be his victor in the 888poker $2,000 Pacific Catfish for $558, one of eight top-3 finishes during the week. The million dollar club picked up two new members as well as Conrado ‘conradofpg’ Pereira Galdino and ’NorBaggio’ both earned their $1 million lifetime badges. Austria’s top-ranked online pro, ‘rolandbauer’ hit a new high in the PocketFives.com Worldwide rankings this week as he cracked the Top 10 for the very first time. 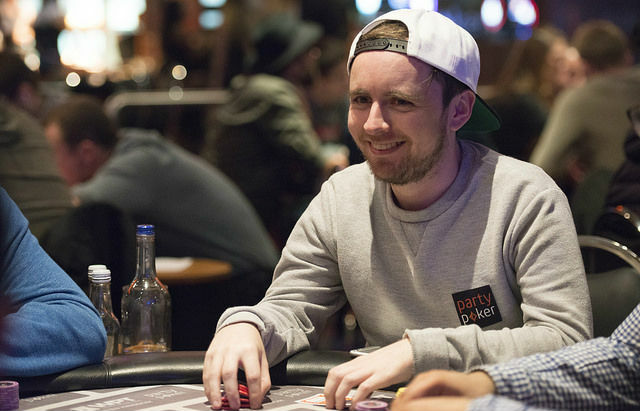 On the back of four top-3 finishes, including a third in the partypoker High Roller Warm-up for over $17,000, ‘rolandbauer’ now looks up at the likes of Conor ‘blanconegro’ Drinan,‘veeea’, Steven ’SvZff’ van Zadelhoff as well as the Swedish contingency, led by ‘C Darwin2’, as he attempts to ascend to the top spot. Perhaps looking to follow in ‘rolandbauer’s footsteps is newcomer to the Top 100,‘DamageAP’. The Philippines top player made a major move this week as he not only leapt into the Top 100, he jumped from #102 into the Top 20, landing at #20. ‘DamageAP’ had a successful week highlighted by his runner-up finish in the partypoker Heavyweight: Title Fight Kick-Off which brought his over $14,000 and over 215 PLB Points. Also of note, of the nine players who achieved career-high rankings in the Top 100 this week, seven of them had done so the previous week with ‘tiarc’ making the largest jump forward, 15 spots to #39.